Facebook, Twitter, LinkedIn, Instagram and countless other social media platforms play a huge role in the growth of businesses. In this day and age where technology is vital, don’t let your business fall behind because of its lack of participation in social media. Social media is easy, fun to use and it can humanize your company, but the best part about it is that it is completely free. As a technology company, we at FirstABS recognize that “free,” “easy,” and most importantly, “effective” are not three things commonly found together, so we encourage you to take advantage of this communication platform. Facebook and Twitter have been proven time and time again to allow businesses to reach markets they typically wouldn’t be able to, which results in more business, and therefore, more revenue. Actions on platforms such a Facebook cause a ripple effect – one person “liking” your status, instantly increases the likelihood that each of their friends will see and “like” your status, and continues in that same manner. Geographic location of each user does not have an effect on the rate of sharing your messages the way a bus ad or billboard announcement does, making the possibilities of exposure to your new and existing clients endless. The most beneficial element of your business plugging into social media is the ability to engage and communicate with your “likers” and “followers.” Through posts you can ask for user input, respond to questions or concerns, as well as like and comment on posts made by your users or your professional business connections you establish. This is the number one aspect of social media that is going to humanize your company and have a profound impact on the way customers view the potential of doing business with your company. Facebook in particular allows users to post reviews of up to “5 stars” with a comment about their experience with your business directly on your page, and even averages the total ”star count” of your business. This allows potential “likers” and clients visiting your page to preview how their experience dealing with your company might be. These reviews can also show up in search engine results. Additionally, this feature allows you as the business to reply to your reviews in an effort to thank, console resolve (etc…) any issues customers may bring to light. Social media is the perfect platform to use for promoting events, news, interesting information, new products, helpful tips and anything else you might want to share as a company. The content on your business page could be the deciding factor when it comes to users wanting to “follow” or “like” your page, so it is essential that the posts on your page are mindful, and most importantly, interesting and relevant. Include links, engaging questions, photos and videos to promote feedback and increased sharing of you followers. Even more importantly, social media gives you the option to always post updates and information real-time and immediately, so use it! Social media is a powerful tool, but let’s be honest… your real goal is probably to direct your users to places where they can get more in-depth information and your business, and hopefully decide to utilize its services. If that’s the case, then use social media as a tool to get them there! Link to your website or blog (wherever you are directing them to) frequently in your posts. Make them WANT to click to “learn more.” Many social media platforms have page analysis tools that are free for you to use, so you will be able to see which of your posts resulted in more activity and “click-throughs” to your links. Don’t forget to keep you “About” section up to date, informative, and full of your contact information as well! 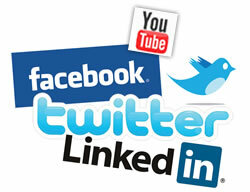 Don’t be afraid of social media, or waste its usefulness to your company! 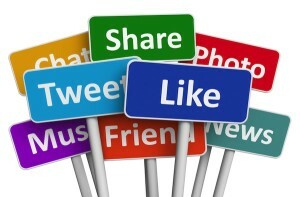 First ABS has learned firsthand how easy and beneficial social media can be, and we invite you to like, follow and connect with us to learn more, and to stay up to date with all of our fun and important announcements! The links for our Facebook, Twitter and LinkedIn can be found at both the top and bottom of this page, we’d love to chat via social media with you or in the comments below! 5 Reasons to Upload NOW!